I get a lot of questions about what gear I use and recommend, so I’ve put together the following guide and reviews. You may also want to see my more in-depth reviews of a few items (such as how to get the most out of your D850 for landscapes). Note that many of the links below are affiliate links, which helps support all the free content I post on this website and YouTube. Using these links (even buying other products from Amazon after clicking the link) helps to support this site, and it does not cost you anything. I only write reviews for equipment I personally use and recommend. More importantly, I try to explain why I use this equipment, so that you can decide if it is also right for you. For my absolute favorite equipment, I’ve added a “highly recommended” comment. For any questions or concerns about potential conflicts of interest in these reviews, please see my Ethics & Privacy page. Wait, what camera do you use? I’m sure that’ll be pretty obvious in a second, but my personal opinion is that the camera is the least important part of the process. That’s not at all to say that cameras aren’t important to me, just that other pieces of the puzzle are more important. First, there’s your subject and composition – the photo starts there. Second, there’s your light – it needs to be good to be interesting (whether natural or flash). Third is your lens – everything passes through the lens before the camera, so a photo can’t be any better than the lens. And then there’s the camera. If you don’t have good subject/composition, in good light, passing through a decent lens; the camera won’t matter. I use a variety of lenses, depending on a number of factors (typically subject and whether I’m traveling). I’m a huge fan of Nikon glass, most of their lineup is excellent. 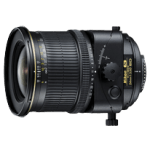 Sigma has been putting out some very well reviewed lenses, and that’s where I’d look next for budget options with a Nikon mount. There’s absolutely no reason not to use Canon, Sony, etc. My comments on “best” ways to use certain focal lengths would still apply, but I can’t really comment on the quality of the specific equivalents for other camera systems. And all of my lens recommendations assume a full-frame Nikon camera. Many of these lenses are either heavier or pricier than the “DX equivalents, and the DX sensor effectively magnifies all focal lengths. 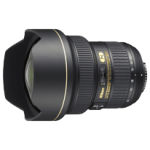 Nikon 14-24mm f/2.8G (check the latest prices on Amazon or B&H) – HIGHLY RECOMMENDED for landscapes! This super-wide angle lens is unbelievable. It’s rectilinear (so straight lines stay straight, very important for landscape/architecture). It’s super sharp. And with f/2.8, you can take some pretty unbelievable images handheld (since it’s a wide angle, you get a lot more depth of field than you’d expect). I’ve taken some great images handheld 30 minutes after sunset using this lens and ISO 6400. Drawbacks on this lens? Pricy. Big. Heavy. Filter options are more limited. I don’t care, it’s awesome. If you want to use filters with this lens, check out the WonderPana Essentials kit. It lets you add a circular polarizer and ND filters to make absolutely stunning super wide shots. Best for: Landscape/cityscape, stars, interiors. 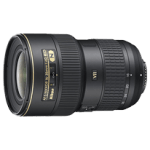 Nikon 16-35mm f/4G VR (check the latest prices on Amazon or B&H) – HIGHLY RECOMMENDED for landscapes! idn’t you just say you had the 14-24mm? Dude, that’s overkill! Well, not really – I’m focused on landscapes and I need a variety of tools to get the job done. The 14-24 is awesome for super wide shots, focusing in low light, and astrophotography – but it is not small and light for travel (especially if you need another lens to cover the 35mm range). The 16-35 produces great images, is easy to use with polarizers and ND filters, and can often be handheld due to the vibration reduction feature. When I’m traveling to shoot cities, I often like to bring the 16-35, 50mm, and 85mm. If I don’t expect portraits or midrange shots, I might drop one or both of the primes. If I had to pick either this lens or the 14-24, I’d lean towards the 14-24, but it depends on what/how you shoot. Best for: Landscape/cityscape, interiors, group portraits, lightweight travel. This is Nikon’s widest tilt-shift lens. If you aren’t familiar with this type of pro lens, it allows you to make some amazing adjustments that can be difficult or impossible to do in post-processing. I love using the shift feature to keep buildings looking right when I shoot from the ground. And I love using the tilt feature to creatively blur the image (it’s like wide aperture on steroids) or to get more depth of field (think field of flowers in front of a mountain, but with everything in focus, even at a much wider aperture). This definitely isn’t a lens for everyone, but it’s amazing at what it does. Slightly closer crop than the 19mm. Great when your vantage point is slightly further back, and can easily accept threaded filters. I don’t use this as much as the 19 or 24mm, but it’s an excellent lens for shooting specific parts of the skyline or from a further vantage point. I have used this lens a lot for weddings and groups. It’s great for portrait work, but honestly, I’m not blown away by the sharpness of the lens and have mixed feelings on using it for cityscape/landscape work. It also has a curved focal field. Huh? I’ve shot groups where everyone is in a row, focused on the person in the middle, and the people at the far left and right aren’t sharpen, even at f/7.1. I still use this lens a lot, and I’m not aware of any truly stellar alternative zoom lens in this focal length range. Note that Nikon has updated this lens. I have not used the new design, but the reviews I’ve seen have been consistent with my experience of the older one. I don’t see a compelling reason to upgrade or pay more if you don’t need the VR (vibration reduction). Best for: Wedding, group portraits, events. This is one of those overlooked gems. It’s dramatically sharper than my 24-70mm. I love this lens for cityscapes – I have no fear that I’ll be able to make very large prints. And with the f/2 aperture and compact size, it’s great for taking indoor photos at events (close enough for individuals and wide enough to capture groups). It’s also a very affordable lens. I have only one complaint about this lens: the old screw-type focus mechanism gets sticky and causes precise focus to become difficult at cold temperatures (common in a Minnesota winter) – though you can still manually focus with patience in the extreme cold. I recommend getting a lens hood (such as the Nikon HN-3 or other more affordable 3rd party options) to keep the lens dry in rain and avoid flare from sun or other lights. Best for: Landscape/cityscape, street photography, shooting people at indoors events. This is an awesome lens for portraits, as well as landscapes (though if you just want to shoot landscapes, get the cheaper f/1.8 version). I find myself using my 35 and 85mm lenses quite a bit more, but I always love this lens. A classic. This is also my favorite lens for taking macro shots when I’m traveling or shooting wedding rings (just use some Kenko extension tubes, which work flawlessly with the auto-focus). Best for: Street photography, portraits, landscapes at a distance. My go-to lens for creative portraits. None of my other lenses can produce the beautiful bokeh and limited depth of field that this lens can. And when I travel, I frequently bring this instead of the heavier/larger 70-200mm. That said, you need good focusing technique and a still subject (forget kids) to shoot this lens wide open. You can focus on a person’s eyelashes and easily end up with the eyeball out of focus, no joke. If you want a cheaper portrait lens that has “80%” of the capability, the f/1.8 version of this lens is also very good. Best for: Portraits, weddings, distant landscapes/cityscapes. Great lens for macro work or portraits. The VR is very helpful for getting additional depth of field if you need to shoot hand-held. However, using extension tubes (such as with the 50mm) is what I do most of the time to save weight/space. If I were doing more serious macro work, I would use this extensively. I also use this as a portrait lens (or occasionally for telephoto landscapes) when I travel. It’s much lighter/smaller than the 70-200, and the VR option provides a lot of flexibility to shoot hand held. Hands down, this is the lens I use the most for sports and family portraits. I’ll use the 85mm f/1.4 when I want the absolute minimal depth of field, but the versatility and long reach of this lens keeps me using it over and over. You can still get the old VR version of this lens, I strongly recommend you get the VR-II. I upgraded from the old design (for an total net cost of $1000 after selling the old lens and paying the $400 higher price tag) and it was absolutely worth every penny. The new lens is dramatically sharper. Note that the new version exhibits “focus breathing”. This means that when you’re within about 10-15 feet of your subject, you won’t be able to zoom in quite as close as you could with the old design. This has never been a concern for me, but you may be shooting different subjects. Best for: Portraits, weddings, landscape details, sports. If you want to get even more reach (140-200mm), I recommend the Nikon TC20-E III 2X teleconverter. This gives you the equivalent of a much longer lens, but turns the maximum aperture from 2.8 to 5.6. This is a great option for closeup sports shot in bright light (or if you’re willing to give up some ISO). Be sure to get the III, not the II (the new version is substantially more sharp). You might also consider a monopod to provide stability and help manage the weight of the total setup (gets hard to hand hold after 10-20 minutes). Very long lenses are often overlooked as a great way to create stunning landscape images. Best for: Sports, landscape details (if you already have the 70-200). Long telephoto lenses are incredible for landscape photography. If you shoot sports and family portraits, you may be best served to get the 70-200mm and pick up a 2X teleconverter to be able to shoot longer. But the 80-400mm offers the potential for better image quality, and a shorter combined lens length that is easier to pack in your travel bag. With the excellent VR on this lens, you can still handhold many shots, even at relatively slow shutter speeds (1/60 or even slower with careful technique). If I were to pick one lens to use on the Sony a7Rii, this would definitely be it. Great all around performance, and covers the critical 16-35mm range for my landscapes. Hard to argue with Carl Zeiss quality glass. As a bonus, it uses the same 72mm filter thread as the majority of my Nikon lenses. My general purpose lens for more distant landscapes and portraits. My goal with the Sony a7Rii is to travel light, with just these two lenses, I pretty much have my bases covered. And again, hard to argue with Zeiss, great lens. Best for: Broad range of subjects. I think about this lens in VERY different terms from my Nikon 70-200mm. 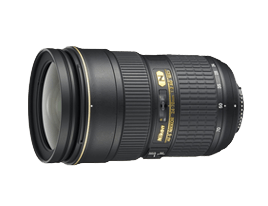 Where I often use my Nikon lens for portraits, this lens is primarily for landscape work. A long lens can be great for simplifying natural compositions by isolating subjects. I would rarely prefer f/2.8 for this work, and the f/4 version of this lens saves size, weight, and is much cheaper. Focusing is no problem as I’m shooting static subjects, and typically not in extremely dark light either. Best for: Landscape details, Portraits. We still aren’t at cameras yet? Nope! Think of it this way, if you use an inferior tripod that blurs each pixel by a single pixel, you lose half the linear resolution. If you assume you lose those pixels in both the horizontal and vertical dimensions, a 36 mega-pixel Nikon D810 basically becomes just a 9 mega-pixel camera! That resolution is worthless if you aren’t shooting on a stable tripod or at a relatively fast shutter speed. Almost all cameras are good these days and tripod technology doesn’t change much over time, so I’d get the right tripod first if budget is a concern. If you’re serious about landscapes, get a serious tripod. Really Right Stuff probably has the best reputation in the business, they absolutely make awesome gear. I love these legs because I get tack-sharp images in nearly all conditions, are built with lightweight carbon fiber, and they’ve got great height (I’m 6’2″ and the camera is just above my eye height when fully extended). They’re also built like a tank. Unless mine gets lost or stolen, I expect I’ll still be using this in 20 years. I can pack these (without a ball head) in my checked luggage. But this one is probably not going to fit in a carry-on suitcase. I bought a couple “cheap” tripods before I finally got here. If you’re serious, I recommend looking past the price tag, the cheap tripod will cost more than you think in the long run (even if you don’t later upgrade, an inferior tripod may well cause you to lose noticeable image quality – especially with longer focal lengths or when shooting in wind). If you opt for a cheaper alternative, I recommend getting something that does not have a center column. You might as well get some little kid to come kick your tripod if you get the center column. Ok, that’s a little over the top, but even if you shoot with the column down it will rob you of image quality. If you do get a center column, hang some weight from the bottom of that column to minimize vibration. Note that the legs on RRS tripods eventually get a little loose (meaning that the legs open and close more easily than desired). The included Allen wrenches are great to tighten things up, but Loctite Blue 242 is generally recommended to help the screw threads stay tight longer. Ok, two pairs of legs are definitely optional. I got this smaller pair of legs so that I have something that easily fits in my carry-on luggage. That’s it. With 4 sections, it isn’t quite as stable as the 33. And it isn’t as tall, which means that it’s hard to shoot over some railings and my back can get tired if I’m bending down too long to look through the eyepiece. All minor tradeoffs, and I’m glad I’ve got this for many trips. If I had to pick one and I was tall or worried about maximum sharpness, I’d just get the 33. There are three major RRS ballheads. The 55 is too heavy for my travels (though I own it too and use it close to home). The 30 looks too fiddly to use (I haven’t tried it). The 40 is the “Goldilocks” option for me. I LOVE the L-plates. Being able to quickly switch from landscape to portrait is really nice. I got the PC-PRO version. I love the built-in level. It makes it incredibly easy to level your camera (and more accurate than the built-in level in my camera). It also makes it incredibly easy to level and pan for horizontal panos. Geared heads offer the ultimate precision to adjust your camera’s level and tilt independently. They make it a snap to get rid of alignment issues in architectural and cityscape images. And they are incredible for shooting panoramas because you get perfect alignment for any vertical movement. I’ve tried cheaper options before, but found the Arca Swiss “Cube” is absolutely worth its hefty price tag. Using a ball head feels fiddly without it now. Of course, it isn’t the perfect tool for every shoot. It’s a bit larger/heavier than my BH-40. And I wouldn’t want to bring this head into salt water or sandy conditions that might gum up the gears. But for many shots, it’s a dream to use. Nikon D850 (check the latest prices on Amazon or B&H) – HIGHLY RECOMMENDED! The D850 is the best 35mm DSLR I have ever used, period. If you shoot landscapes, it’s probably the best camera on the market. Why? Beyond the obvious pixel-awesomeness, it has two critical qualities. First, it has incredible dynamic range. That means that you can capture a lot more highlight and shadow detail, and is much more important to me than the number of pixels. I have not shot seriously with Canon cameras, but I know many professional Canon shooters who will tell you that Nikon offers a better chance these days of letting you capture a shot with extreme range (such as a sunset). Second, it has a world-class auto-focus system. Compared to the D810, it offers a vastly improved autofocus, better live view and focus peaking for manual focus, better shadow color, a touch screen, increased resolution, focus stacking, tilt-LCD, and AF auto-tuning. See my list of recommended settings to make the most of the D850. The D850 replaces Compact Flash with XQD for the 2nd slot. I recommend getting a couple 128GB Sony XQD cards. This is a cost effective way to get some fast cards that can back up numerous SD cards. If you want a camera that’s nearly as good as the D850 for less money, check out the D810. You won’t be disappointed in this camera either, it’s still an excellent choice. See here for my recommendations on how to get maximum detail out of the D810. I used to shoot with a Nikon D800 as a backup, but I strongly recommend the D810, it’s a significant improvement on an already great camera. The D800 also does not have the image buffering capabilities of the D810, which makes it unsuitable if you need to be able to take multiple shots quickly. See here for my thoughts on how they compare. I would skip the D800 unless you’re on a tight budget. For budget alternatives on new cameras, see the Nikon D7200, D610 and D750. Although I do not personally own them, I have heard from sources I trust that they are all great options. Sony a7Rii (check the latest prices on Amazon or B&H) – HIGHLY RECOMMENDED! Sony has completely flipped the mirrorless game on its head, and I’m sold. I’ve been waiting for years for a smaller camera that can keep up with me, or rather focus on my subjects. The Sony a7Rii finally does that. The focus system is lightening quick and super accurate. 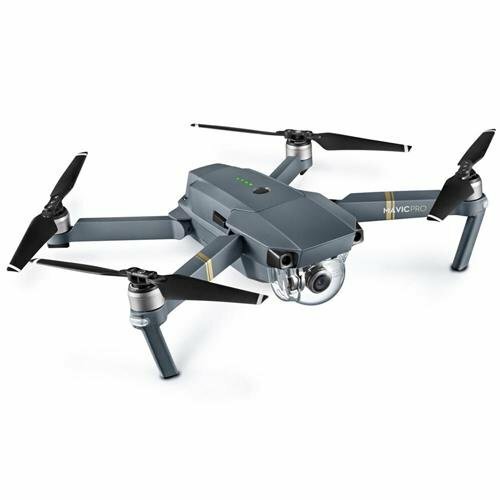 In addition, you get 42 megapixels with incredible dynamic range (as good as the D810) and overall image quality, plus the world’s first full-frame 4k video camera. And the tilting LCD is incredibly helpful when taking shots from a low angle. If you want to pack light, look no further. Will it replace my D810? No, primarily because the Nikon lens lineup is much more complete (see above) and the D810 is fully weather sealed (which matters to me when I’m shooting around the ocean). But I use this camera a substantial amount when I travel. See this post for a detailed list of all the settings I use to get the best possible image quality out of this camera for my landscape images. Sonyalpharumors.com posted that a Nikon to Sony adapter with support for autofocus on G lenses is coming (noted above by the G next to the aperture number), I’ll be sure to check that out and review when available. For a budget alternative, see the a6300 (note that the 6300 does not use a full-frame sensor, so be sure to carefully consider which lenses you would need). If you want to capture beautifully simple shots of clouds and water, you should absolutely get some ND (neutral density) filters. Be sure to checkout my tutorial on how to properly use them. I’ve recently started using (and love) Breakthrough Photography‘s X4 10-stop ND filter. It has the least color cast of any ND filter I’ve ever tried and thin enough to avoid vignetting. It also has a nice grip that makes it easy to unscrew from your lens (handy when working fast and you want to avoid dropping the filter). I also plan to order the X4 6-stop filter. If you’re on a budget, you might wish to try their lower-tier X2 filters. I can’t speak to how much of a quality difference there is, but I assume the X2 is still a pretty impressive filter. I have used B+W multi-coated screw-on filters for years. I have both the 1.8 (6 stop) and 3.0 (10 stop) versions. They are good filters, but exhibit a strong brown cast. You can color correct the 6 stop filter, but I always convert the 10-stop images to black and white. I frequently stack these together for 16-stop reduction, which is perfect for 5 minute exposures in the middle of the day. I love Lee‘s George Lepp 77mm thin 4-stop filter. It’s perfect for shooting speeds I need to capture ocean waves at sunset with my preferred apertures. I imagine I could get away with the 3-stop options from other vendors, but 4-stops is perfect for me. I also like the Lee Big Stopper, which is a drop-in style 10-stop filter that can be used on a variety of lens sizes for a small investment in the appropriate adapters. These are awesome tools for making super long exposures to blur water, clouds, etc. This can really add a sense of drama and art to a lot of situations with water and clouds. I’ve also tried the Singh-Ray Variable neutral density filter, but can’t recommend it. I’m sure its a fine filter for many uses (especially for achieving wide apertures with video in daylight), but it didn’t suit me. When pushed beyond a certain point creates some awful results (that can look like the Batman symbol in your photo, no joke). The variable nature of the filter also makes it impossible do any calculations (if that’s the way you work, doesn’t matter to me personally using my ISO6400 metering technique). Most of my ND filters are 77mm, as that fits most of the lenses I use for long exposures. Nikon MC-36 Remote Shutter Release / Intervalometer (check the latest prices on Amazon or B&H) – HIGHLY RECOMMENDED! Long exposures open up amazing opportunities – blur water/clouds, create star trails, etc. To do this, you’ll often need a neutral density filter (unless it’s dark) and you’ll definitely need something to control exposures longer than 30 seconds. While you can save a little money getting a manual trigger and timing with a watch/phone, I find it dramatically easier to use Nikon’s MC36 remote shutter release. You can program in any exposure length (to the nearest second). You can also use it to take multiple exposures to create time lapse videos. There’s a newer / more expensive MC-36a, but I use the MC-36 with no issues on the D850. My only gripe with this product is that the battery door comes off way too easily in the field. Consider wrapping some gaffer’s tape around it. Neweer Remote Shutter Release / Intervalometer for Sony a7Rii (check the latest prices on Amazon). Very similar design to the Nikon release, but of lower quality and designed to work with Sony cameras. For $20, I wouldn’t hesitate to get this – it works as advertised. My only concern is that the cable isn’t nearly as robust as my Nikon cable, and I do worry somewhat about it breaking when it gets stiff in a cold Minnesota winter. If anyone knows of a more robust option, please email me. The Petzl Reactik+ has been a total game changer for my night shots. With 300 lumens, I can accurately focus on subjects more than 30ft (10m) away at night with f/2.8 or faster lenses. And its an excellent headlamp for looking through your camera bag at night or hiking back after sunset. However, it has a few weaknesses. I find that I only ever use the constant and red lighting modes because the reactive lighting mode is somewhat frustrating when trying to focus, and downright annoying when hiking through the woods (as the light frequently dims automatically as the light reflects off nearby trees). The control buttons can be a little confusing. And I don’t see much value in the Bluetooth app (other than predicting remaining battery life), which can also be hard to connect. So, even though I have not had the chance to personally use it, I would actually recommend the Petzl Actik Core. It costs half as much, offers a slightly brighter max 350 lumens, offers a simpler interface that eliminates the reactive mode (but still includes the red light), and offers compatibility with rechargeable AAA batteries (making it easy to carry spare batteries). As far as I can tell, it is better in every way, and I’m already very happy with the Reactik+. Both of these headlamps feature rechargeable batteries with anywhere from 2 hours at max brightness to well over 24 hours at low brightness, and a reserve power mode that tries to give you an hour or two of dim light backup after you run the battery down to low power. If you want an excellent photographer monitor for less than $400, this is it. I find the image quality to be excellent. No, I wouldn’t mind a wide gamut display, but this monitor more than meets my needs and I have no lust for anything better. I am able to produce high quality prints working with it, and it is better than the monitor used by most people who view my images on the internet. The newer PB278QR one-ups this monitor, but at twice the price. If you really want to go all out, there are many options out there and you could spend a lot of time researching the options. If money is no object, here are key items to consider for a photography monitor: size (27″ works great, but more gives you extra room for tools and panels and tools in Photoshop), resolution (if you do 4k video, look for 4-8k), IPS (best image quality), 10-bit lookup table (the more common 8-bit LUTS can may it appear that you have banding in some skies or smooth gradients), wide gamut (coverage of AdobeRGB vs RGB), built-in calibration (convenience), USB or Thunderbolt pass-through (convenience for plugging in other devices, though options are limited for Mac users until Apple updates their Thunderbolt display), and flicker-free claims (may help minimize eye strain). Dell monitors also tend to get very good reviews for their quality, and are offered at very reasonable prices. Bottom line: the monitor I recommend above is excellent for photography. If you want the ultimate photography monitor, look for an IPS monitor with wide gamut. If you plan to do ultra-high def video, look for high-resolution (preferably 5k, to be able to watch your video in native 4k and have some tools around it while working). While PCs can get the job done, I dumped them years ago and have been extremely happy with Mac. My computer rarely crashes and TimeMachine backups are a much simpler way to help ensure my photos are backed up. It’s all about simplicity, Photoshop and Lightroom are the same on either platform. I recommend maxing out the RAM (you’ll quickly need it with luminosity masking and complex layered files) and a solid state boot drive (loads faster, you can get a small SSD and use a larger external spinning drive). Go for a fast processor if you want to speed up Photoshop, but I wouldn’t worry about the number of cores unless you do gaming or video (Photoshop isn’t yet optimized for multiple cores). See my review of the 2018 Macbook Pro for more details. Hard drives fail. It’s happened to me at least 5 times in the past 20 years, and that’s not including several times when I had minor loss of files or the need to reinstall Windows. So backup is critical. See my post on how to create a bulletproof backup plan, as well as my article on what to do if your computer does crash. There are many good choices for backup drives, and you should consider a mix of different drives for different purposes. These days, I absolutely love using an SSD to backup my laptop when traveling. And no matter what drive you use for backing up, I cannot recommend Carbon Copy Cloner enough, both the software and support are incredible for making backups on a Mac. I absolutely love this little drive. I never thought I would ever say that about any piece of backup equipment. It’s tiny and incredibly fast. And these days the price has become extremely reasonable too. I can download images from a days shoot on the road and update a clone of the 2TB on my laptop in about 20 minutes. And if your computer ever crashes, you can boot right from this drive with incredible speed. Restoring a Time Machine backup could create a full day’s delay and booting from a spinning clone would slow down the machine substantially. Note that I also have a Glyph Atom 4TB SSD. However, I hesitate to recommend this drive for most photographers for several reasons. First, because it is internally constructed as a RAID0 drive, you cannot boot from it (it will show up as an option, but simply does not work). To me, that dramatically reduces its value as a backup device. You can restore from it, but that would mean losing a day waiting. Also due to its RAID construction, it is somewhat thick. Not a large device, but much bigger than the Sandisk Extreme Portable SSD. Lastly, this device is promoted on the speed its RAID configuration offers, but Sandisk now has a lineup of Extreme Portable Pro devices that offer comparably fast speed and pricing, while offering the ability to boot from the drive and a much smaller size. If Sandisk offered a 4TB Extreme Portable Pro SSD, I’d buy it immediately, as it would be a much better way to backup my 4TB laptop. If you are using a laptop, you will inevitably need an external hard drive to store all your photos. On top of the 2TB of data I have on my laptop, I have about 8TB (and growing) on my external “RAID” drive. It’ll probably be another 5-10 years before I can buy a laptop with an SSD that can hold all my data internally. RAID combines multiple spinning disks to offer speed and reliability with much larger storage capacities and better prices than SSD can now and likely for years to come. I recommend using a RAID5 with a 4-drive array if you’re on a budget or RAID6 with a 6-drive array if you’re willing to pay a premium for the best. Both offer greatly increased speed compared to a single hard drive, as well as redundancy to protect against the risk of hard drive failure (any spinning hard drive has a reasonable risk of failure eventually). RAID5 offers protection against a single drive failure, and RAID 6 offers protection against two drives failing. Note that none of the various RAID options can be used as a bootable clone. I had a first generation Pegasus Thunderbolt that performed great for nearly 7 years before the drive enclosure failed. I routinely backup, and the drive gave me a couple years of warning of potential issues before it lost any data. So while I wish it would have lasted forever, I was satisfied with the quality of the device. I’d call that a decent run. I replaced it with a Pegasus3 R6 with 36TB of total storage. I have it configured in the same RAID6 configuration as the LaCie, and it runs circles around it (roughly 5-6X faster). The enclosure is gorgeous and quiet. The software interface feels dated, but isn’t too difficult and runs fine. The product support is unfortunately probably no better than LaCie. You really get the feeling that these companies know expensive hard drives are a dying business and no one thinks about service when they buy them. It is unfortunate. But overall, I’ve been very happy with both of my Pegasus RAID drives and would definitely recommend the Pegasus 3 lineup. They are offered in both PC and Mac editions, but as far as I can tell the hardware is the same. Given that they are sold at different price points (with the PC currently being higher), you may want to consider looking into the other platform. According to their support article, the only difference I can see is that the PC edition has weekday support instead of 24/7 support and comes formatted for PC (easy enough to re-format). They also mention the “Promise Utility” only for PC, but it looks identical to the software I downloaded from them for my Mac. I suspect that this these two versions are simply offered to create confusion to enable the company to charge different customers different prices. Amazon doesn’t even bother listing the difference. But check into it or at least ask about return shipping on a heavy device before ordering. I have been very frustrated with this drive. It has a glitch that causes a massive reduction in write speeds if you enable FileVault encryption on a Mac and customer support is terrible. See my in-depth review of this drive here (and for optimizing the settings if you do buy it). I regret this purchase. However, the software interface is very modern/slick and the product overall would be a good choice for someone who will never encrypt their data. A Wacom tablet is an absolute MUST for any serious luminosity masking, dodging/burning, or cloning work. It gives you a pen interface to make much more natural changes than you can with a mouse. See my post on how to process better photos with a pen tablet. I personally use the Wacom Intuous 4 medium and 5 medium. Both have been replaced by newer models. I recommend the small BlueTooth for laptop users. If you have a desktop and want a larger input surface or custom buttons, check out the Intuous Pro (medium size). The cheaper/smaller entry-level tablets are great (and preferable if you plan to travel with the tablet). Ultimately, all that matters is that you’re using a pen in your fingers – the size, pressure sensitivity, and other flashy features don’t matter for photography. This is the wireless mouse that I use on top of my Wacom tablet (it works great on a wide variety of surfaces). It has a very nice ergonomic design. It connects to your computer via BlueTooth, and lasts a very long time before needing to plug it in (via micro USB cable) to recharge the batteries. Very helpful for desktop use with Wacom tablet. Probably the best mouse I’ve ever used. Adobe Lightroom (Adobe) – HIGHLY RECOMMENDED! Adobe Photoshop (Adobe) – HIGHLY RECOMMENDED! The ultimate photography tool. There is nothing more powerful out there, period. If you want to do luminosity masking work, I strongly recommend Photoshop. You can get both Photoshop and Lightroom from Adobe for $9.99 per month as part of the Creative Cloud Photography plan. If you have an older version of Photoshop and are considering upgrading, I have created a detailed list of all the CC upgrades for photographers in Photoshop and Lightroom. Alternatively, you can pick up the boxed current version of Lightroom and the older Photoshop CS6 for reasonable prices. Incredibly powerful plugins (can also run standalone). I use ColorEfex Pro a lot for finishing steps (especially the Pro Contrast and Tonal Contrast filters), SilverEfex Pro for black and white images, Dfine for noise reduction, and Sharpener Pro for getting canvases ready for print. I find all of these are very complimentary tools for my luminosity masking work (see my tutorial on how to leverage luminosity masks with any software). I use Resize (formerly known as Perfect Resize and as Genuine Fractals) for ALL of my large prints. I’ve made many 40×60″ canvases from 12-megapixel cameras that look AMAZING, even from a close viewing distance (I don’t think I’d get away with prints the same way). Resize does two things that are critical for my work. First, it offers the ability to dramatically improve the quality of large prints (using a fractal algorithm to scale up the image). And second, it offers the ability to create and preview gallery-wrapped canvas edges (this keeps 100% of the image on the front of the canvas, but provides a beautiful edge on the wrapped side of the canvas). See my article on Printing MASSIVE Canvases for some tips. Time Machine is good to use, but it is no where near 100% reliable. And even when it works, restoring a computer from it can literally take days. So for a more reliable backup and one that lets you keep working even when your computer crashes, you should absolutely have a bootable clone drive. There are various options out there to create one, but I cannot recommend Carbon Copy Cloner enough if you use a Mac. It is relatively simple to use, full-featured, and very well supported. The support is so good that they helped me resolve an issue with my RAID drive that LaCie couldn’t figure out. They were happy to help with a fairly unrelated issue, knew the problem better than the company that makes the drive, and responded within a few hours of my request. Unreal. And the clones have saved me countless hours. When my laptop recently failed, I was able to boot from my Sandisk SSD (above) and be running with all my software and files in less than 5 minutes. A smart phone is a critical photography tool. Not only can you use it to shoot and edit professional quality photos these days, it is also an indispensable tool for planning, navigating, and even shooting your DSLR. ProCamera: The best iPhone camera app, period. Full manual control, shoot raw. Highly recommended! PhotoPills: Critical tool for determining timing and direction of sun and stars, depth of field, and much more. Highly recommended! GPS Tracks: Navigate offline while hiking, evaluate topography, and save GPS data for DSLR images. Highly recommended! Dark Sky Finder: See where to avoid light pollution to shoot stars. Snapseed: Great editor when you want to quickly share something on the go. The Photographer’s Ephemeris: excellent alternative to PhotoPills. Mark II Viewfinder: Use your iPhone camera to decide which lens you’ll need with your DSLR. Tilt-calculator: Help setting your tilt-shift lens for maximum depth of field. Adobe Lightroom: Shoot, edit, and sync RAW photos across all your devices with Lightroom. RAW: Free app to shoot RAW photos. Pure fun. It’s a fraction of the size of the Phantom, and delivers the same high quality images. I strongly prefer this smaller model to the Phantom. I can easily pack it for airplanes and hikes, and don’t feel like I’m making any compromises at all. I can fit the drone, remote control, and 4 batteries into the shoulder bag. Unreal. I absolutely love their gallery-wrapped canvases. The product quality is great, and for a small fee they will create the wrap for you (which is great if you have any concerns about how to do it properly – be sure to ask for a PDF preview if you have any questions or concerns). They also offer some nice framing options for canvas, metal prints (ie prints on pieces of metal), and metallic/luster prints. While they ship internationally, I don’t know how they compare on shipping time and costs compared to other international options. White House is one of the pioneers of digital printing and one of the largest pro labs in the US (I believe Miller’s Lab is the only one that’s larger than WHCC). I love their luster and metallic prints, cards, and broad range of products for family photographers. Their service is also excellent. I’ve been to their lab in Minnesota, and can attest that they are a truly professional outfit – with a highly skilled team, state of the art equipment, and very good control of their process and operations. While they ship internationally, I don’t know how they compare on shipping time and costs compared to other international options. There are many options for wedding and family albums, but I’ve always been very happy with GraphiStudio. They make a great product at a reasonable cost. Unfortunately, their website is an overwhelming list of options. I recommend calling them for sample books, and visiting them at a tradeshow (WPPI, Imaging USA, etc) to see their products. They are an Italian company that ships globally.